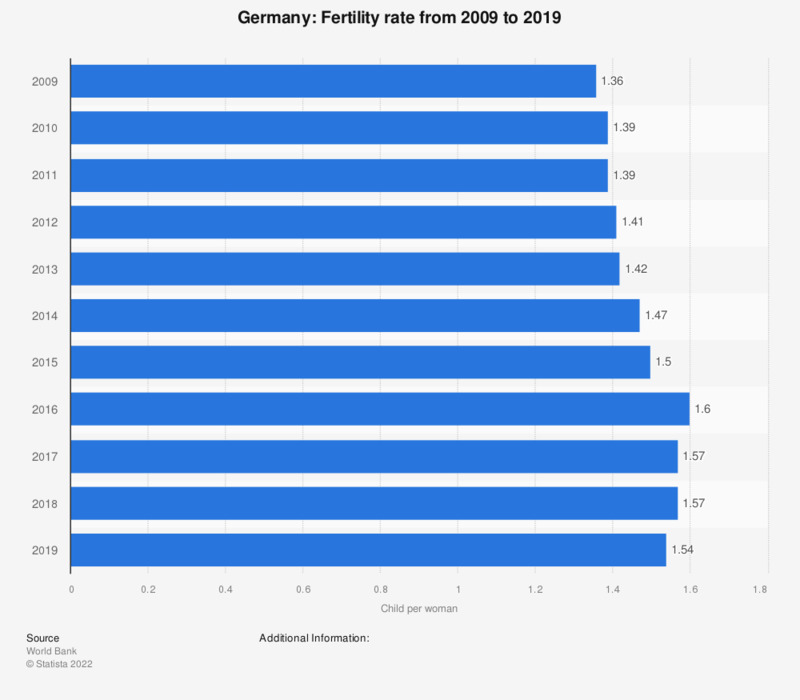 This statistic shows the fertility rate in Germany from 2006 to 2016. The fertility rate is the average number of children a fertile woman could give birth to in her lifetime. In 2016, Germany's fertility rate was at 1.5 children per woman.